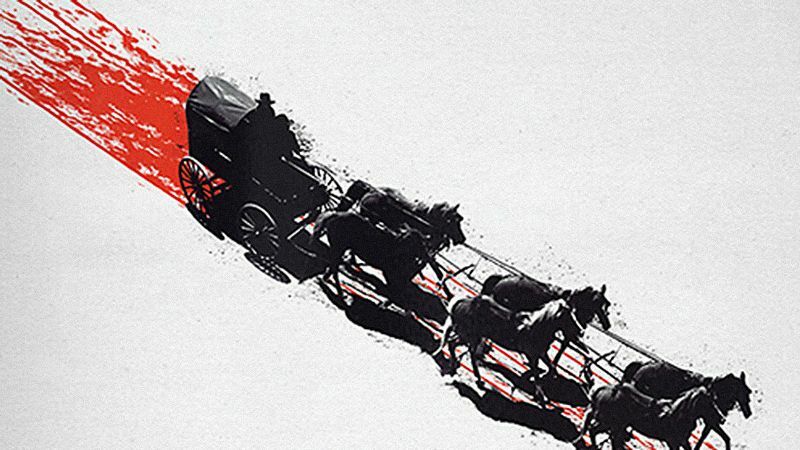 The official trailer for Quentin Tarantino’s The Hateful Eight, which is released this December, has been unveiled. The Hateful Eight follows John ‘The Hangman’ Ruth (played by Kurt Russell) after he kidnaps a wanted murderer (Jennifer Jason Leigh). However, a blizzard forces them to take shelter with a group of unsavoury characters. The cast includes Samuel L. Jackson, Michael Madsen, Zoe Bell, Tim Roth, Bruce Dern, Demian Bichir, Walton Goggins and Channing Tatum. The film is Tarantino’s second Western after 2013’s Django Unchained, which won two Oscars, although it’s been suggested that The Hateful Eight is closer in tone to the classic Reservoir Dogs. The Hateful Eight has had a troubled development, with Tarantino even cancelling the film after the script was leaked in January 2014. At the time, he said he felt ‘betrayed’ and ‘very, very depressed’, while suggesting that he may turn the script into a book instead. Later in the year, Tarantino hosted a live reading of the script with many of the actors eventually cast in the film. After the reading, he announced that the film was back on. The Hateful Eight is released in December 2015. ← Resident Evil 2 is officially being remade!